If you are looking to extend the usable space in your home, then there are several ways you can do so without having to gain planning permission. Applying for planning permission costs £206 per application in England and is not always guaranteed to be approved. Thus, by applying under permitted development, you can save yourself time and money and avoid planning permission altogether. Furthermore, in recent years, the Government has extended what is permissible under permitted development in an attempt to speed up planning processes. If you are planning on extending your property under permitted development, then here is our guide on how to improve your home without planning permission. There is a common confusion between how planning permission and building regulations differ from one another. Planning permission focusses on the visual impact of your build and how it could impact your neighbours or the surrounding area. Whereas, building regulations cover the structural integrity and safety aspects of your home improvements. By building your extension within a set of rules set out by Permitted Developments, you are able to avoid planning permission. However, you cannot avoid building regulations; it is imperative your project adheres to these regulations for the safety of yourself and others. This is the difference between planning permission and building regulations. To find out how you can improve the amount of valuable space in your home without going through the process of obtaining planning permission, keep reading. To build a single storey extension you do not need planning permission, but you do need to comply with some regulations. You can add an 8-metre extension to a detached house but it cannot sit forward of the current front elevation of the property. The extension also must be built from similar materials to the existing property. If you are thinking of incorporating a side extension, then it cannot be any greater than half the width of the original building. You will, however, not be permitted to build a side extension if your property is within a Conservation Area or an Area of Outstanding Natural Beauty. Single storey extensions are a great way of increasing the floor space in your downstairs living area. This can be transformed into an extended kitchen or dining area. If, however, you are looking to increase the space at the front of your property, then why not consider the addition of a porch? Not only can a front porch dramatically improve the look of a property, but it also creates a useful space to store shoes and coats in. This may help to free up some space in your home where the shoes and coats are currently stored. You are allowed to build a porch at the front of your property without having to go through the planning permission process. This scheme allows for the development of an extension forward of the principal elevation. Nevertheless, there are some regulations that you must comply with. The porch can be no taller than three meters and cannot be within two meters of any boundary adjacent to a road or public path. The ground area must also not exceed 3m2 (when measured externally). If you wish to build a larger porch, then you will need to gain planning permission beforehand. Nevertheless, if you wish to further increase the space in your home, then it may be worth looking into the addition of a conservatory or summer room. The addition of a garden or summer room provides the perfect space for an external home office or studio. You will also be able to build a summer room under permitted development rights; providing you don’t build it in front of your property or live in a conservation area. However, the outbuilding must be just one storey and must not exceed a height of four meters. The addition of a balcony, veranda or raised platform is not permitted and the building must not be used as accommodation. It is also important to be aware that the construction cannot occupy more than 50% of the total space in your garden and must be no bigger than 30m2. Take a look at Green Retreats to see their stunning collection of garden rooms. If you’d rather construct a building adjacent to your home, rather than an outbuilding in the garden, then installing a conservatory is a practical alternative. Conservatories in Dunstable can be built under permitted development rights and are a popular way of increasing the floor space in your home. Investing in a loft conversions in Towcester is one of the most cost-effective ways of utilising the space you have in your home, and eliminates the need to extend. If you are converting a loft that is under 40 cubic meters, then you will not require planning permission. Over 74% of loft conversions in the UK were built under permitted development. If the space within your loft is limited, then permitted develop rights does allow for the construction of dormer windows. This will help to provide additional headroom. However, they cannot sit any higher than the highest part of the current roof. Again, you will also not be allowed to install a veranda or balcony and the material used must be similar to those used for the original building. Double glazing in Luton can be installed under permitted development rights, providing your building isn’t listed. 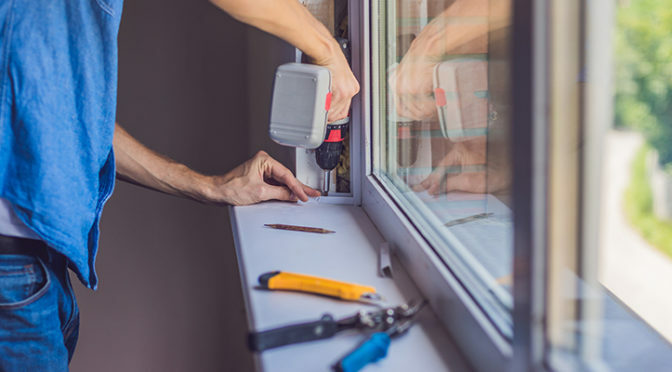 If you are looking at installing bigger windows into the walls, then you will to follow building regulations and have the approval from the building control. However, if your home is a listed property then you will need consent beforehand. It is worth noting also that bay windows are considered to be extensions and, therefore, require planning permission. If you are looking for a reliable supplier and installer of windows in Dunstable, then get in touch with CS Windows today.